What are Good Reasons to Modify an Alimony Order? In many cases, the alimony order the court enacts when a couple divorces is no longer appropriate for them years after the divorce is finalized. Lifestyles and personal needs change and evolve over time, and when this happens, either partner can petition for the court for an alimony modification. In order for the court to approve your petition to modify your alimony order, you must demonstrate that you or your former spouse experienced a substantial change in circumstances to warrant the modification. In other words you need to have a good reason to ask the court to alter your alimony order. Bad reasons to modify alimony that courts typically do not approve are intentional underemployment and resentfulness of your former spouse’s lifestyle. When a divorced individual remarries, his or her alimony order is automatically terminated. But today, it is fairly popular for couples to move in together without marriage. Moving in with a new partner changes an individual’s household income level and access to resources, and if your former partner cohabitates with a new partner, this is a good reason to change your alimony order. 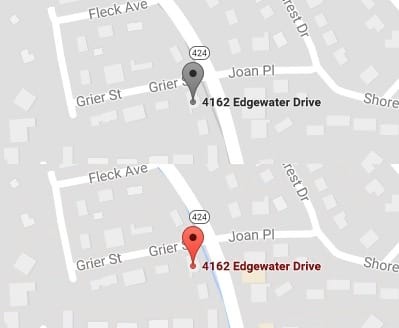 You might have to prove to the court that he or she actually did move in with a partner, which you can do with documentation showing his or her new address. Being laid off or fired is a good reason to modify your alimony order. Quitting your job or intentionally getting fired is not. If you plan to cite job loss as your substantial change in circumstances to justify a change to your alimony order, be prepared to show the court that your job loss was not your fault. You can do this with a letter from your former employer or documentation from the company’s Human Resources department that shows that the job loss was not your choice or your fault. If you recently retired or you are planning to retire soon, you need to make lifestyle and budget adjustments to accommodate your new income level. 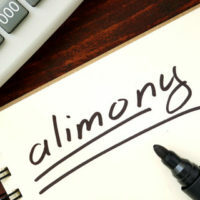 Sometimes, this means reducing the amount of money you pay your former spouse in alimony. If you cite retirement as your change in circumstances, the court will consider this fact along with your assets to determine an appropriate new alimony figure. Sometimes, life throws unexpected expenses our way. When you are facing large medical bills, it can become necessary to change nearly every aspect of your lifestyle to avoid bankruptcy. This can mean modifying your alimony order to reduce the amount of money you are required to pay your former spouse each month. Learn more about modifying an existing alimony order during your legal consultation with an experienced Orlando divorce lawyer. To get started with our team, contact The Law Offices of Steve W. Marsee, P.A. to set up your appointment in our office.